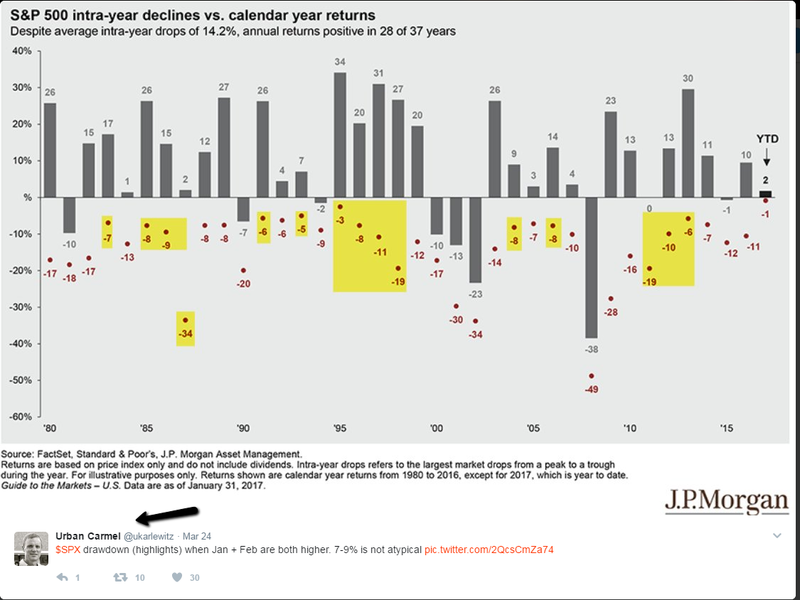 The great Urban Carmel from Fat-Pitch.blogspot.com pointed out that the average intra-year decline when the SP500 has been positive January and February is roughly -7 to -9%. 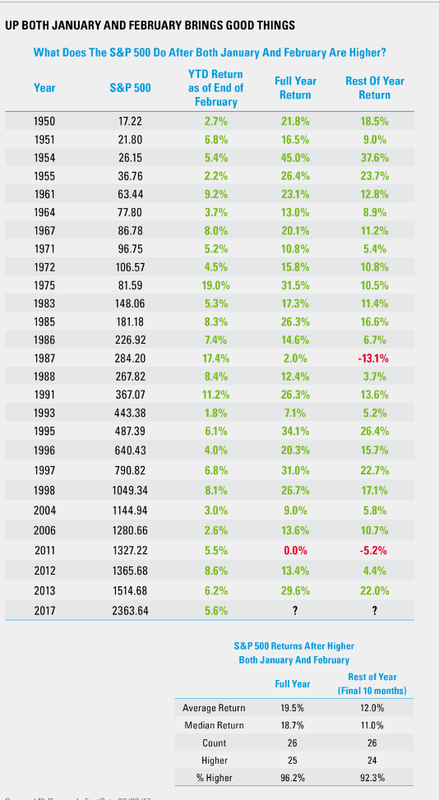 The reason why he is highlighting only the years in which the market was up January and February is that historically when January and February are up months the market does very well for the entire year. 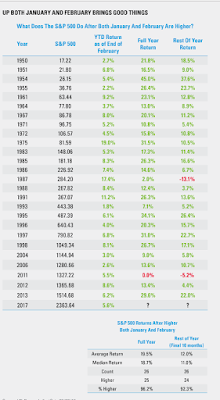 Since 1950 when the SP500 was higher the first two months 26 times, 24 of those times it was higher by year end. Here’s the research by Ryan Detrick. What I found interesting was that most recent pullbacks under this January-February criteria have commenced in the month of May. 2013 it was a 1-month shake out that started in May -8%. 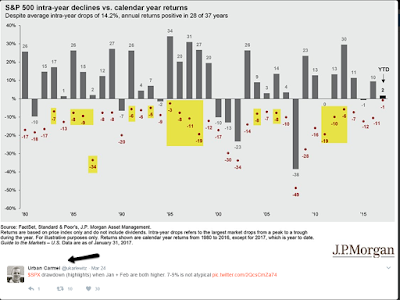 2012 a 1-month shake out that also happened in May -11%. 2011 a 19% pullback that started in May. 2006 an 8% pullback that started in May. This does not mean that you sell in May and go away, but should be on the look out for quick shakeouts.